eBook HTML, PDF, ePub, Kindle (Mobi), TeX, etc. Introduction to Mathematical Philosophy has been a seminal work for more than nine decades. It gives the general background necessary for any serious discussion on the foundational crisis of mathematics in the beginning of the twentieth century. Requiring neither prior knowledge of mathematics nor aptitude for mathematical symbolism, the book serves as essential reading for anyone interested in the intersection of mathematics and logic and in the development of analytic philosophy in the twentieth century. 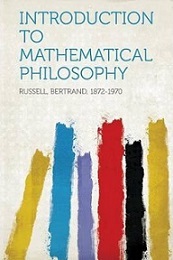 Russell offers to his readers a penetrating discussion on certain issues of mathematical logic that embodies the dawn of modern analytic philosophy. Bertrand Russell was a British philosopher, logician, mathematician, historian, writer, social critic, political activist, and Nobel laureate.